When you have a kid, it’s inevitable that you have to start watching some kids shows. There are some that make you want to poke your ears with chopsticks (please don’t actually do this, you will cause irreparable damage!!). This show was developed by The Fred Rogers Company. It is targeted at preschool-aged children, and is based on the Neighborhood of Make-Believe from Mister Rogers’ Neighborhood. I have a lot of respect for what Fred Rogers did when I was a kid, and Daniel Tiger does a lot of the same kind of work. I love the little ditties they sing in each episode to help Daniel figure out or solve the problem at hand. I think my daughter had learned a lot about emotional intelligence from this show. I think of Ni Hao Kai Lan as the Chinese Dora, but much less annoying. Similarly to Daniel Tiger, Kai Lan always has little ditties she sings to solve whatever problem comes up in the episodes. I found these ditties really helpful when my daughter was 2 and 3 years old and we got into similar situations – because they helped to remind her of what could be done to solve the problem. Added bonus is you learn a bit of Mandarin Chinese! It’s an oldie but a goodie. It really is. It is still as wonderful as it was when I was a child. My daughter was very much Elmo-obsessed around the age of 2, and still enjoys watching all of the Sesame Street characters. Sesame Street has so much to teach about life, diversity, and interacting with others. Very recently, they launched a new digital character, Julia, who has autism – in order to raise awareness about the disorder and help children relate to others with it. Very cool in my eyes! My daughter loved this show as a young toddler, and I think it likely influenced the fact that she loves to read, and that she started reading at the early age of 3. It does a great job teaching pre-literacy skills, and uses fairy tales and stories to figure out how to solve problems that the characters encounter. I love that “the power to read” is a super-power in this show – really emphasizing how wonderful and awesome reading is! I referred to a specific episode of this series in my post about Moments of Zen – there is a reason this show has a cult following! It is definitely for the older children, and perhaps even adults more than children. I love the different personalities on the show, and the lessons they teach about friendship and life. 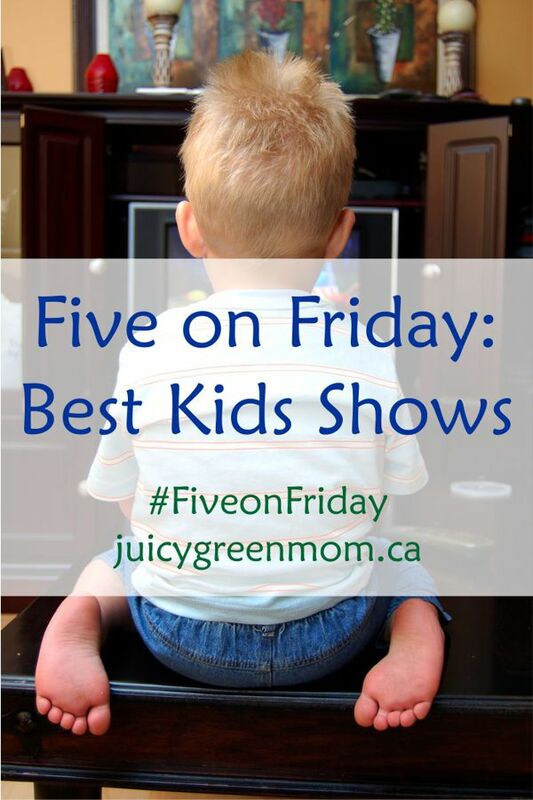 What are your favourite kids shows?